NEW YORK • A puddle - that is what Ms Tyler Malik has been reduced to, a veritable puddle. "He reaches and touches me to the core," she says mid-sob, face raw, as Nicholas Sparks - that would be "he" - signs books, hundreds of them, at a Union Square bookstore. She rose well before dawn and drove three hours from her Great Barrington, Massachusetts, home to be rendered a wreck. "Your stories mean more to me than I could explain in words," she tells the author, clutching two copies of Two By Two, his latest tear de force. Fans bought more than 98,000 copies of the new novel in the opening week, further proof of Sparks' indomitable appeal. His total sales number more than 100 million in 50 languages. 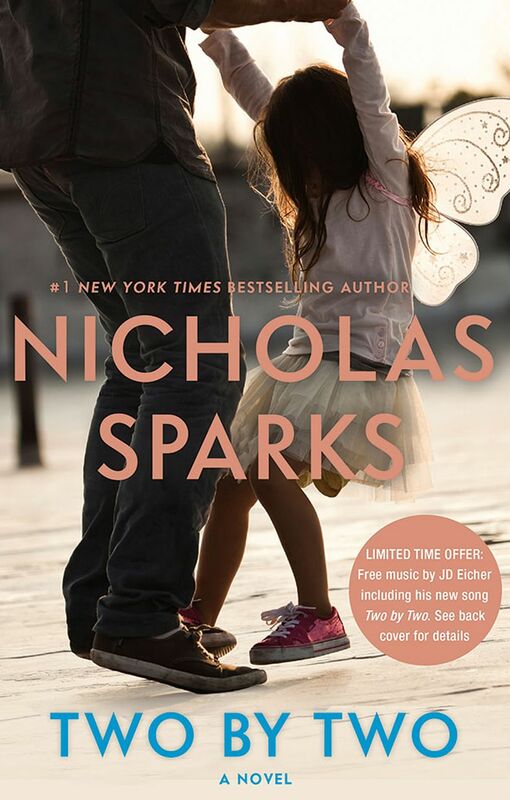 Nicholas Sparks is behind the divorce story Two By Two (above). This autumn marks a significant milestone in Sparkslandia: 20 years and as many books since the one- time North Carolina pharmaceutical representative sold his first novel. The Notebook crowned the bestseller list for more than a year. The movie, stuck for years in what the author calls "development heck", finally appeared in 2004 and made Ryan Gosling a star (and a meme), and it transformed Sparks into the undisputed king of tear-soaked literature. "I write in this strange little subgenre of what's called a love story," says Sparks, 50, sitting in his agent's office. "People read them because they move the reader through the whole range of human emotion." A former champion runner, he has the powerful physique of a man who works out religiously. He tends to answer questions with an intense earnestness that borders on confession, "oh, gosh" punctuating many of his sentences. More than two decades ago, he was a salesman with a dream: He wanted to produce a book like Erich Segal's Love Story, Robert James Waller's The Bridges Of Madison County or Nicholas Evans' The Horse Whisperer, then crushing the bestseller list. If the love story "doesn't go", the Notre Dame graduate thought, "maybe my next book would be a horror story or a thriller". There would be no thrillers. Instead, Sparks accomplished what almost no one else in his strange little subgenre, which tends to consist of one-hit wonders, has: He became a brand. Eleven books became movies about ordinary people in love who happened to be portrayed by gorgeous actors, grossing US$885 million (S$1.2 billion) at the global box office. Sparks says: "These movies lend themselves to people wanting to be cast in them because the actors get to act and go through the entire range of human emotion." Every book hit the New York Times bestseller list, often spiking to the top. So, to celebrate his 20th anniversary in publishing, Sparks wrote a divorce story. Two By Two, with a first printing of almost one million, refers to the adman hero, Russ, and his young daughter, whom he is left to raise alone after his wife leaves. Russ, Sparks says, is "empathetic and at times a little bit clueless". I wanted to make sure the story felt authentic, the dissolution felt authentic, the pain felt authentic, the achingly slow healing felt authentic. Anyone who's been through anything like this knows the healing is slow. Indeed. When his wife begins labour, Russ jumps in the shower so he can look fresh for the birth photos, something Sparks admits he did when his wife Cathy went into labour with the first of their five children, now aged 15 to 25. Two By Two features a salad bar of turmoil - illness, death, despair, adultery - but divorce dominates the narrative. (Fear not, the book also contains a love story.) Divorce is something Sparks now knows. After 25 years of marriage, the laureate of love and Cathy, who long served as his muse, divorced last October, no reason given. "For our children's sake, we regard this as a private matter," Sparks said when the couple separated in January last year. Fans lamented on Twitter: "There's no hope for any of us." "The vast majority of the book was written after my divorce," Sparks says. But, he adds: "I wanted to make sure the story felt authentic, the dissolution felt authentic, the pain felt authentic, the achingly slow healing felt authentic. Anyone who's been through anything like this knows the healing is slow." He hopes, however, that his audience would not confuse his experience with the novel, especially the wife, Vivian, who will win no popularity contests. "Vivian is not Cathy," he says. "We remain friends. Our story is different." As a gift to his readers, he commissioned an original song for the book by musician J.D. Eicher, whose big break was having a tune selected for an Olive Garden commercial. Eicher accompanied Sparks on his book tour - singing while fans waited in line to have books signed - and witnessed a proposal at an appearance recently in suburban Denver, a regular Sparks phenomenon. Two decades after his first tour, the author still appears thrilled to meet his fans, 90 per cent of whom, he estimates, are women. His longest appearance, he recalls, lasted 17 hours: "I think I signed 6,000 books." There is no formula to his stories. "Each time, I think I'll run out of ideas," he says. "One of the goals is to make each of these novels feel unique. To do that, I vary as much as I conceivably can. I'll vary the theme. I'll vary the ending: happy, bittersweet, tragic. But he knows what keeps readers happy. "They know there will be a love story and it will be set in North Carolina," he says. "Those are the only two constants." Ms Theresa Park was a neophyte agent who had never sold a novel when she pulled The Notebook from a stack of unsolicited manuscripts in June 1995. "The writing was so rough, but two-thirds through, I got choked up, and I'm the least romantic person on the planet," she says. She recalls thinking: "If this is doing this to me, what's it going to do to the rest of the women of the world?" Ms Jamie Raab, editor of all 20 books and president of Hachette's Grand Central Publishing, had the same reaction. "I cried and I almost never cry." She offered US$500,000 to pre-empt an auction. "That's not enough," Ms Park responded. "I was thinking of a lot of money, like Horse Whisperer money." Ten minutes later, Ms Raab called back and proposed US$1 million. The three have worked together since. Sparks, concerned that he might be a one-novel wonder, kept the salesman job for another 15 months after selling The Notebook. He became a very rich writer, but chose to stay in New Bern, North Carolina, a central coastal town of 30,000. "It's a quiet life," he says. Quiet, but hardly simple. Sparks lives in a 2,230 sq m house, with a screening room and a bowling alley, in addition to his writing room, where he plays TV shows in the background while he writes. He bought a Bentley. On his wrist is a Patek Philippe watch that costs five figures. He has more. Twenty years in, the Nicholas Sparks brand is going full force. The Notebook has been sold to the CW as a TV series. His agent says she is within "striking distance" of signing a Broadway deal for The Notebook. After three Sparks movies were released in 18 months, his team decided to hold back the movie rights on Two By Two. Ms Park says: "It was too much of a glut. We're going to take a little break and give everyone a breather."